Quite simply, tungsten carbide has a unique tone, that no other material can achieve. The bass response from the wound strings is astounding - pure, clear and strident. The fundamental is rock-solid across the board, and trebles are rich and bell-like with a full, blooming sustain. The character of tone is also very controllable, dependent on your guitar and technique, so is suitable for any style of playing. For rich, melodic and single-note lead work, such as Martin Simpson is famous for, there really is nothing else that can come close. 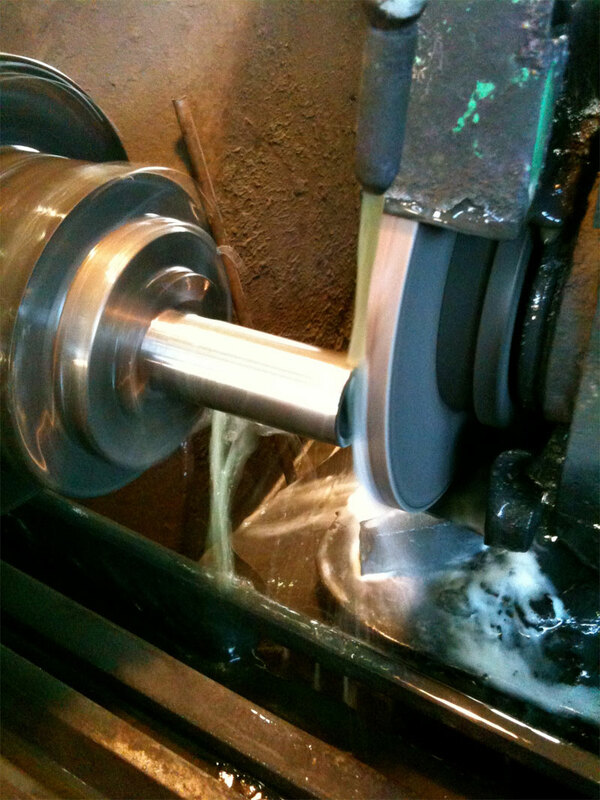 The nickel tungsten carbide we use is nearly as hard as diamond. 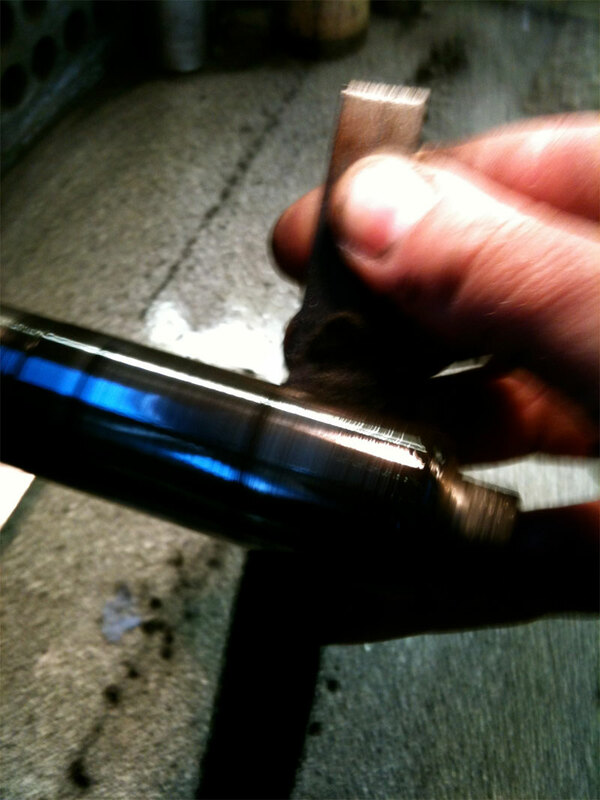 This enables us to polish our slides to an unbelievable mirror finish, that glides over the strings like nothing else. And, because the slide is so much harder than the steel guitar strings, it will retain that perfect finish for many, many years without showing wear, scratching or dulling. Looked after, a Wolfram slide will last a lifetime. Tungsten carbide is heavier than lead, and almost twice as dense as steel. This enables us to pack extreme mass into a compact, comfortable and agile slide. The slide saps virtually no energy from the string through vibration and friction - it is retained in the string to achieve exceptional sustain, volume, clarity and richness of overtones. At over 190 grams, the Wolfram Martin Simpson Signature Slide is one of the heaviest guitar slides in the world, but remains extremely comfortable to use. Pure tungsten carbide is far too brittle to be used on its own: it must be combined with another metal. 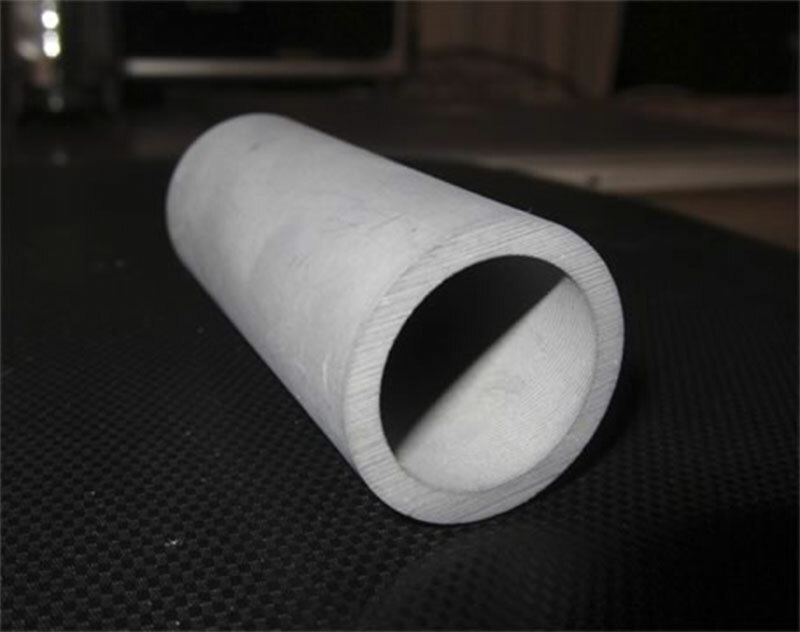 We use a high-temperature sintering process to chemically combine tungsten carbide with small, precisely controlled quantities of nickel to form an advanced metal matrix composite. 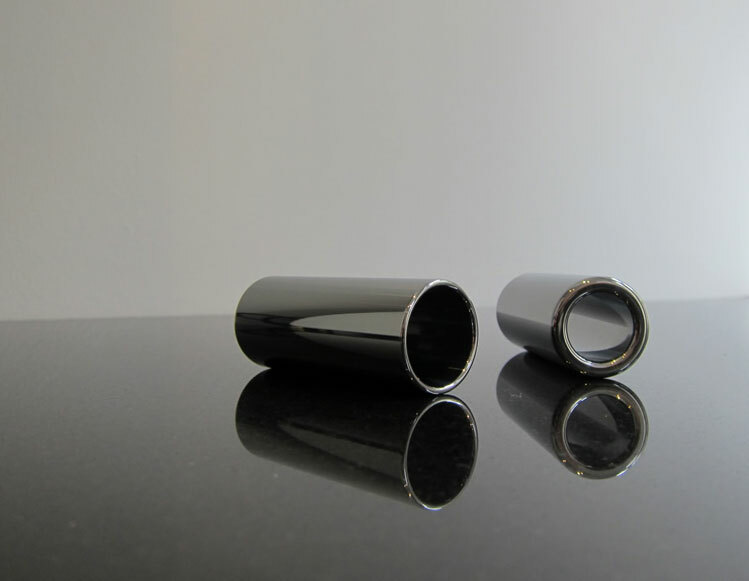 The key properties of tungsten carbide are its density and hardness. Our formula has a density of approximately 14.6g/cm3, which is greater than lead at 11.3g/cm3 and our slides weigh almost twice as much as a steel one of the same design (steel has a density of around 7.8 g/cm3). It is incredibly hard - comparable to sapphire - and can only be worked with tooling of superior hardness, such as diamond and cubic boron nitride. The nickel matrix in the specialist-grade tungsten carbide we use ensures that our slides are completely hypoallergenic and safe to use for long periods of time, and affords them excellent resistance to acidity and corrosion. 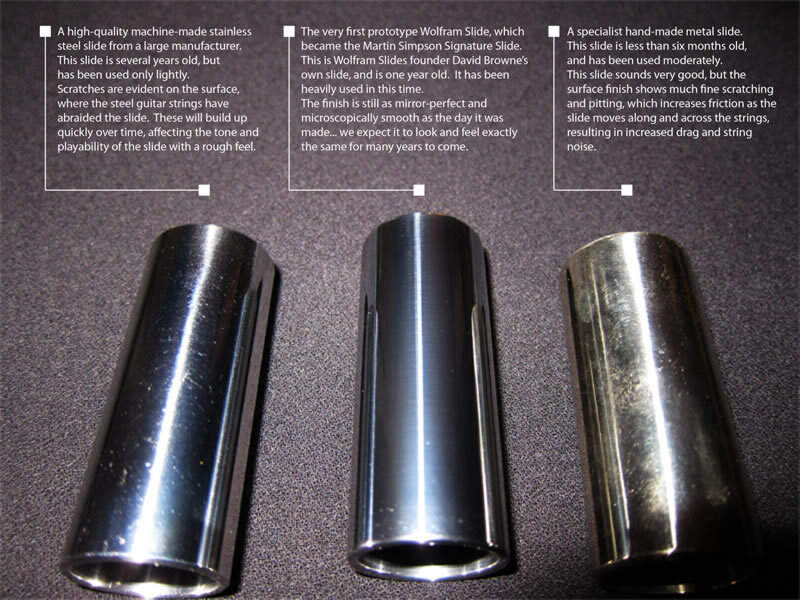 Tungsten carbide is most commonly used for high-performance drills and cutting tools, industrial dies and presses, high pressure nozzles... and armour-piercing ammunition! The manufacture of a Wolfram tungsten carbide slide is incredibly complex with elements of heavy industrial processes and detailed hand-craftmanship performed by the industry's most respected engineers and machinists. There are three key stages to the manufacture of a Wolfram slide, which take six to eight weeks to complete. Every slide is engineered from scratch from the base raw material. First, bespoke blanks of raw material for our slides are created using a powder metallurgy process. Powdered tungsten and carbon are mixed and chemically combined through a high-temperature carbonising process. Precisely-controlled quantities of powdered nickel are then added, and mixed thoroughly (this can take several days in a ball mill, as the nickel needs to be fully dispersed in order to chemically bond with the tungsten carbide). The nickel tungsten carbide powder is then dried and isostatically pressed into a mold, and pre-sintered at high temperature. This results in a 'green state' blank with the consistency of chalk, which approaches the final shape of the slide but is oversized. A high temperature sintering process then chemically fuses the nickel and tungsten carbide to form the final, extremely hard, metal matrix composite, or cemented carbide as it is commonly known. We then use precision diamond tooling to grind the blank to the exact dimensions of the design and form the precise, smooth end radii. The blank shrinks by up to 45% in volume during the sintering process. This presents a considerable challenge, as the final sintered blank needs to be as close as possible to the final dimensions of the slide: grinding away unwanted material is extremely expensive, both in machining and wasted material. If any dimension of the blank is under-size or reveals any flaws then the whole blank is rejected at this stage. The final stage is to polish the inner and outer surfaces of the slide by hand. We apply a lapped finish using diamond paste and a wooden lap, to achieve a microscopically fine, perfect mirror finish. Every slide is carefully inspected, weighed and measured with vernier calipers, to ensure that all dimensions are within tolerance and the finish quality meets our exacting standards.